Pune Nagar Road hosts #WowVenue Verified Venues, ranging in capacity from , and priced between . There are Banquet Halls in Pune Nagar Road. Pune Nagar Road features Small Banquet Halls and Large Banquet Halls that are ideal Venues for Private Parties, and AC Banquet Halls and Hotel Banquets that are perfect Venues for Weddings. Top Banquet Halls in are . Banquet Halls in Pune Nagar Road have a capacity range of , and a varied price range from , depending upon the location and type of Venue. Pune Nagar Road harbours some of the Best Luxury Banquet Halls too, such as . Pune Nagar Road features Popular 5 Star Hotels like . These Venues offer Lawns + Banquet Halls, ranging in capacity from , and priced between . 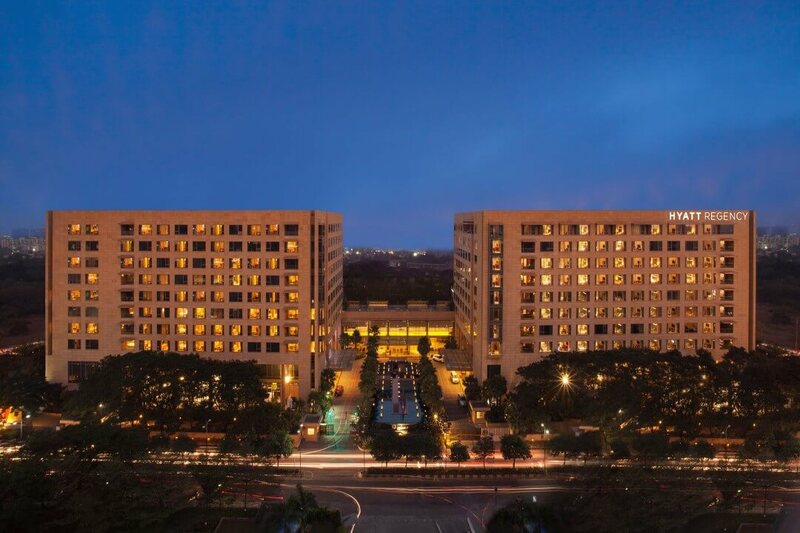 WOW Venue’s Recommended 5 Star Hotels in Pune Nagar Road like allow Indoor & Outdoor Catering, Cocktails & Hard Liquor, and Outdoor Music too. These are excellent for any kind of event - be it Weddings, Conferences, Receptions, or Birthday Parties. Resto-bars and Lounges are perfect Venues for Outdoor Parties and Cocktail Parties. Pune Nagar Road houses some of the Top Lounges and Rooftop Venues like , ranging in capacity from , costing between INR . From Budget-friendly #WowVenues in Pune Nagar Road to Premium Luxury #WowVenues in Pune Nagar Road, avail up to 30% off on the venue of your choice at WOW Venue! BOOK NOW! With a seven-star service than most 5 Star wedding venues in Aga Khan Palace, Pune -Hyatt Pune in Aga Khan Palace is a 209-room five star hotel offering different indoor and outdoor areas as event venues in Aga Khan Palace. Its 929 sq. ft. beautiful banquet halls in Aga Khan Palace provides the possibility to celebrate small, intimate, average to big events with over 500 guests. With flexible space and an alfresco area, the function areas have been designed with luxury as well as technology in mind for being one of the luxury wedding venues in Aga Khan Palace. Amidst the wedding venues in Aga Khan Palace to carry out weddings comfortably and in sheer luxury. Their banquet, terrace and poolside offer three spectacular views around to create an atmosphere of celebrations. Set amidst water bodies and with a truly magical ambience, Hyatt Pune is the perfect backdrop or destination wedding venue in Aga Khan Palace for dream weddings. Besides, its modern and contemporary interiors, giving an extra touch of elegance and class, book this banquet hall in Aga Khan Palace for its exquisite cuisine which turns all wedding celebrations into an unforgettable gastronomy journey for the guests.While there are a plethora of other events as well which call for massive celebrations, carry out any kind and size of social gathering at the hotel. Some of the other functions they have successfully hosted on their premises are birthday parties, anniversaries to corporate events in Aga Khan Palace.